At our Pitt Meadows retirement home, you can notice the care and attention we put into everything we do. We believe that retirement can be a great phase of life and offer a variety of residences to fit your needs. We worked with professionals to design the beautiful interiors and exteriors of our retirement home. 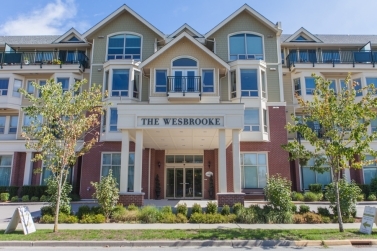 At The Wesbrooke, we have several options that have been developed with your preferences in mind. If you enjoy having a common area to socialize, we have a supportive living floor with a communal dining room and lounge area. To request more information about our floor plans, please call us at (604) 460-7006 and speak with someone from our team. We’re looking forward to hearing from you.